Grace Baptist Church has a vision for the community of Bixby. We know there is greater things to be done in Bixby. Welcome to Grace Baptist Church’s website. We are glad you are visiting our site. We would like to tell you a little about our church and our services. We believe the Bible is the source for the answers to life’s questions. As a church we know that our key function is to build up each other in the word and love of Christ Jesus our Lord. We worship God as Holy and the only thing worthy of our praise. Grace Baptist Church is a congregation that sets aside man made rules and seeks to find God’s rule in our lives, not only inside the doors of the church but also in our everyday life. As the saying goes we are not perfect, we are forgiven. The Bible teaches that we are to strive for the mastery of our lives. This is a work that Christ is performing in us yet we are also co-laborers with Him in this work. Jesus is making us pure and we are abstaining from the things that stain. There is only one way to heaven. Jesus said I am the way the truth and the life, no one comes to the father but by me. 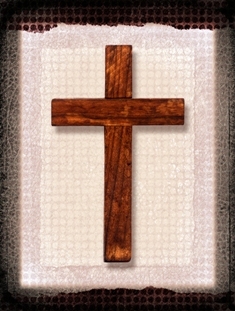 Jesus died on the cross for our sins, he was buried, and rose again the third day. The Bible also says that this is how God demonstrated His love for us in that while we were yet sinners Christ died for us. When you come to understand how much God loves you, you become grateful for you know you do not deserve this love that was poured out on the cross for you. At Grace Baptist Church when the word of God is preached there is no sugar coating or excuses made. There is but two responses to the truth, anger because of the wrong we know we commit against God or acceptance because we know that God loves us and wants what is for our good. The focus of the church is on teaching and preaching God’s word. We meet at 9:45 AM on Sunday mornings for Sunday School, at 10:30 AM on Sunday we have our Sunday Morning service. On Sunday evening at 6:00 PM we have a Bible study and on Wednesday at 7:00 PM we have another Bible study and pray service.